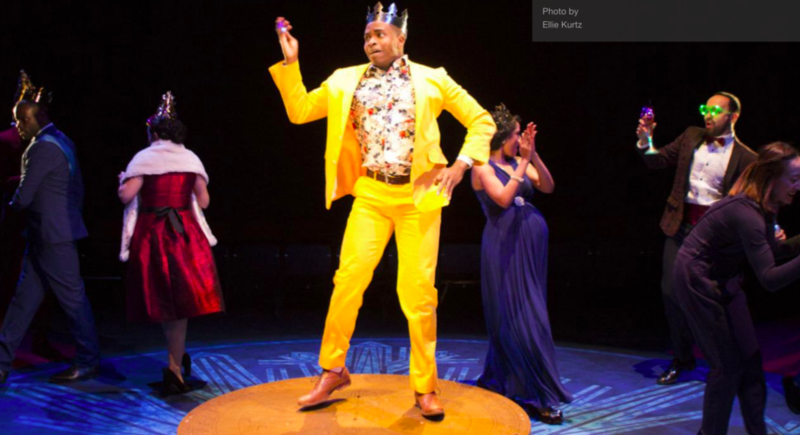 The Winters Tale is a classic Shakespearean play and the amazing actors and crew at the National Theatre have successfully transformed this normally 2 and a half hour long play into a mere sixty minutes, in order to make it more accessible to a younger audience. I’ve seen a production of it before; at the end of last year I saw an adaptation of it at the Globe Theatre – I fangirled a little bit as Annette Badland who famously played a Slitheen in Doctor Who, played Old Shepherd- so I was intrigued to see how the National Theatre would cut it down and make it more appealing for children. Particularly, as it has some ‘adult themes’, including death, adultery, and abandonment. 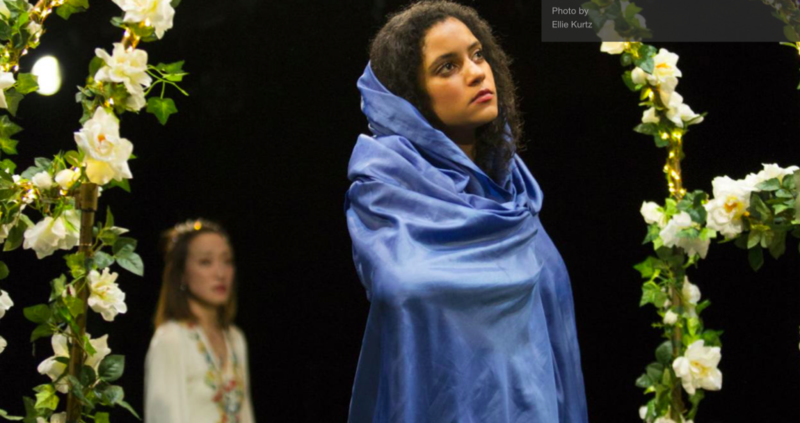 Directed by Ruth Mary Jonhson, this adaptation was set in a modern context; however, everyone, bar Aisha Toussaint as the lead Perdita, spoke in early-modern English. At first, I questioned whether the children would be able to grasp the plot because of this (admittedly, at first there were some innocent looks of confusion). Yet, I was happily proved wrong the further the production progressed- it was so visually interactive and stimulating, and each actor completely embodied their character, so that audience members quickly forgot they weren’t speaking ‘normally’ and lost themselves in the story instead. Like many good things, this production began at the end with the marriage of Perdita and Florizel. The scene is interrupted by Perdita saying, ‘it’s all wrong’, and it is up to the audience to understand and figure out how we have reached this point. We then rewind sixteen years in the past to the court of Leontes and Hermione; this tragic half of the play is perceived through the eyes of Perdita’s younger brother, Mamillius, portrayed by a puppet. It is in the second half we get Perdita’s first-person narrative. The entire performance is played out in the round, there is no permanent scenery or even that many props. At the centre is a circular mound and throughout the play, it is transformed into a giant clock, beds, waves, and a maypole. Once again, although it might initally be assumed that this lack of permanent staging could be too meta, and therefore boring for children, the vibrant colours, use of music, and puppets of Mamillius and Gina the naughty sheep, more than compensate. This adaptation was a joy to watch – I think I can safely say the adults loved it as much as the children! It is fantastic that theatre companies are taking these brilliant pieces of art and making them accessible for children. Overall, my only criticsm was that at one point a character did the floss dance; I appreciate it needs to be relatable for children, but these kind of ‘trying to be relevant’ gags diminish the quality of the production and its artistry. Nevertheless, this is of little importance by contrast to the performance’s overall brilliance. I would strong recommend it to younger viewers.